Monthly and annual tax liabilities. Sale transactions – Legal Sales Book. Purchase transactions - Legal Purchases Book. Control of Monthly transactions under SPOT. Sworn return for monthly tax Contributions. Annual tax return (Annual Oath Declaration), signed by a CPA from our Firm. 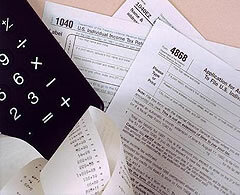 Tax advisory services and consulting.